No two businesses are alike. From the culture, the products offered, the employee interaction, the buildings, even the office furniture, virtually all businesses differ to some degree. Employee needs differ amongst businesses as well. A telemarketer requires a different workspace than a graphic designer, just as a marketing team requires a different style than a group of coders. 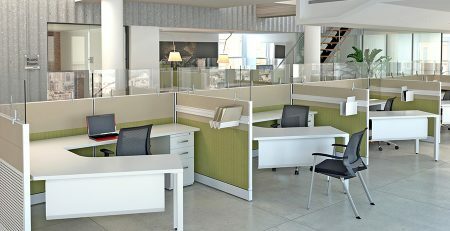 So how can you customize your office furniture to mirror the needs of the workers inhabiting it? There are a number of different storage options available within a cubicle. 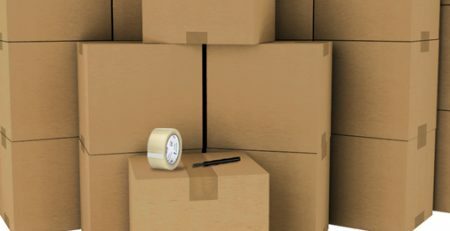 An employee that requires extra storage options, such as a secretary, would benefit from overhead and under-surface storage. Flipper units are overhead storage units that are ideal for storing books, binder, personal belongings and more. Under-surface storage options such as box-box-files or file-files are great for storing and organizing folders. 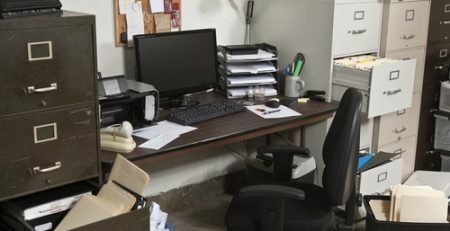 Some cubicles have paper management add-ons like diagonal and horizontal paper trays that help keep your desk tidy and important documents within reach. 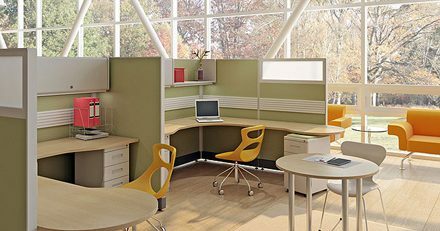 One of the most important things to consider when selecting the perfect office cubicle for your business is the cubicle’s layout. 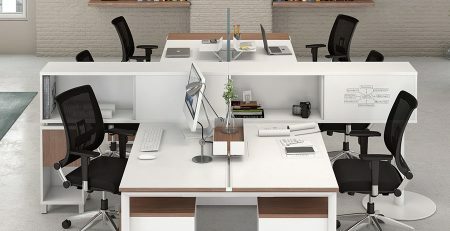 The layout of the cubicle is very important because it can directly affect the productivity of the worker. For example, an engineer would require a larger cubicle to layout blueprints and paperwork, whereas a marketing professional may benefit from an open-air concept with lower walls and areas for collaboration. When you are in the process of selecting an office cubicle ask yourself questions like “How much surface space do I need?”, “Do I need increased privacy”, “Is collaboration important?” The answers to those questions will directly affect the style of cubicle you select. The color scheme of your cubicles may not seem like the biggest deal, but it can play a factor in the overall cohesion of your office design and even have an effect on employee moods. When designing your office cubicles be sure to keep in mind the overall design and color scheme of your office. Choose colors that complement your office’s design. A mismatched color scheme can create a feeling of discomfort and make the office look unorganized, even if it’s not. The right color scheme in your office cubicles can not only make the office look better, but it can give your employees a sense of pride in their workspace.